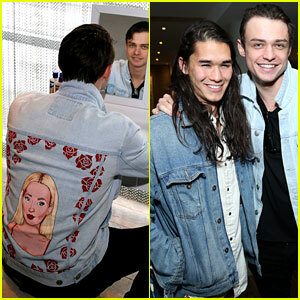 Ashley Tisdale, Jaden Smith, & Jasmine Sanders Spend the Weekend at Beautycon! | Ashley Tisdale, Dani Thorne, Ireland Baldwin, Jasmine Sanders, Jordyn Jones, Willow Shields | Just Jared Jr.
Ashley Tisdale, Jaden Smith, & Jasmine Sanders Spend the Weekend at Beautycon! Ashley Tisdale goes super glam as she arrives at Day One of the 5th Annual Beautycon Los Angeles on Sunday (August 13) in Los Angeles. The 32-year-old actress and singer showed off her toned midriff in a black crop top and white pants as she attended the beauty event alongside tons of other stars. 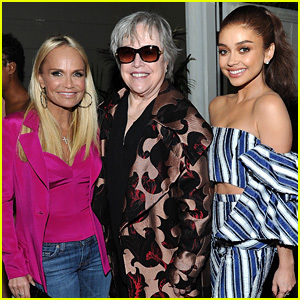 Other stars attending the event over the weekend included Jaden Smith, Jasmine Sanders, Ireland Baldwin, Dani Thorne, Jordyn Jones, and Willow Shields. During the event, the stars shared some of their secret beauty tips as well as some of their favorite makeup products to use. FYI: Jasmine is wearing Schutz heels. Ashley wore Nine West shoes. 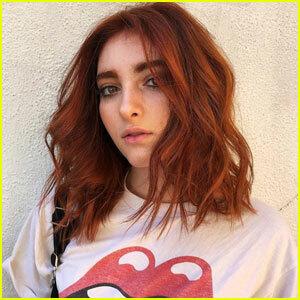 Willow Shields Debuts New Red Hair! Sarah Hyland Throws It Back to 1999 with an 'Annie' Reunion! Becky G & Dacre Montgomery Attend the 'Power Rangers' Premiere! 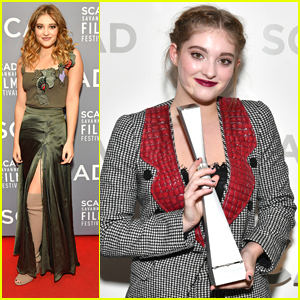 Hunger Games Star Willow Shields Gets Driver's License!